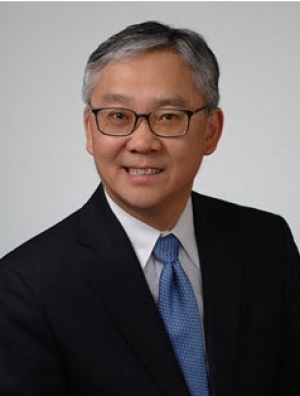 Theodore Yi prides himself on understanding not just the salient laws but the many technical aspects of the complicated, large-scale real estate transactions on which he works. He views each lease in the context of the industry that will make use of the space, does his homework on how that industry uses space, and tailors the language of the lease to align with the specific needs of the tenant. Ted is adept at putting together major anchor tenant leases, serving clients in the retail, medical office, hospital, and professional services sectors, where he seeks to meet the objectives of all parties to the agreement while upholding his responsibility to be a trustworthy advocate for his clients. An administrative leader as well as a trusted legal advisor, Ted serves as a member of the firmwide governing Executive Committee. Ted’s extensive and varied real estate experience includes a wide range of commercial real estate transactions, with a particular focus on commercial lease transactions representing both owners and users of office, retail, and industrial properties. He represents institutional landlords, such as insurance companies, pension funds, and real estate investment trusts (REITs), as well as users of properties, including users of technically complex space such as trading floors and data centers. In particular, he has represented a number of Fortune 250 corporations in connection with relocations of their corporate headquarters. The total mechanics of legal practice — science and art, alike — are important to Ted. A voracious learner, he loves his profession because it requires the constant acquisition of new skill sets and industry expertise. Ted offers his clients more than 30 years of experience, but he approaches each transaction with a determination to become even more of an authority than he already is. That’s why he’s among the 2014 Illinois Super Lawyers “Best of the Best,” being one of the 100 attorneys who received the highest point totals in the Illinois nomination, research, and blue ribbon review process.